The Pool is defintely entertaining for anyone, at any age! Given its dimensions, the Pool is ideal both for a relaxing bath and for sporting activities like swimming or water aerobics. Solar panels provide water heating for a more pleasant temperature of the water, eco-friendly. 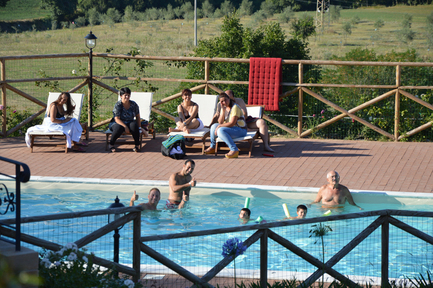 If you do not fancy a swim, why not relaxing at the shade of the big oak tree or maybe taking a walk in the green countryside, through the various trees that characterize our area?